Opera brought a feature is called Speed dial which is basically is to make visiting your 9 favorite websites as easy as possible instead of opening a blank tab or putting in bookmarks.Maybe you will asking why only 9 websites allow to add in into Speed Dial feature? why not 10,20 or more ? 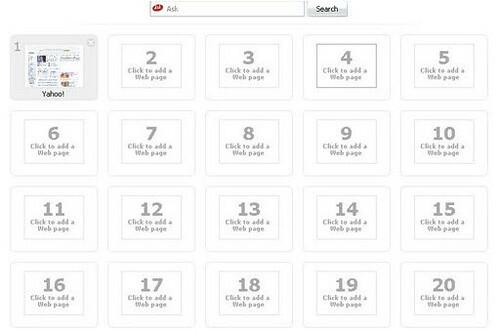 Here i showing you a hack how to increase websites limit in Speed dial as many as you like . 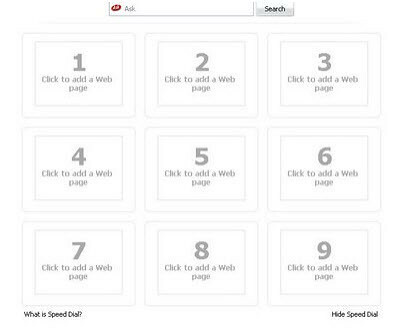 Below is Speed Dial feature that allowed 9 websites to be added. 1.Open up Opera web browser and added one website to Speed Dial. 2.Click ‘Start’ and select ‘Run’,then enter in ‘ C:\Documents and Settings\user\Application Data\Opera\profile ‘. 3.Use notepad to open up speeddial.ini file,add in the code below at the end of the speeddial.ini file and save it. 4.Then close up speeddial.ini file and restart Opera web browser,notice that can added in 20 websites ( 4X5 = 20 ) in Speed Dial feature . You can change the row and column figures to suit you needed.